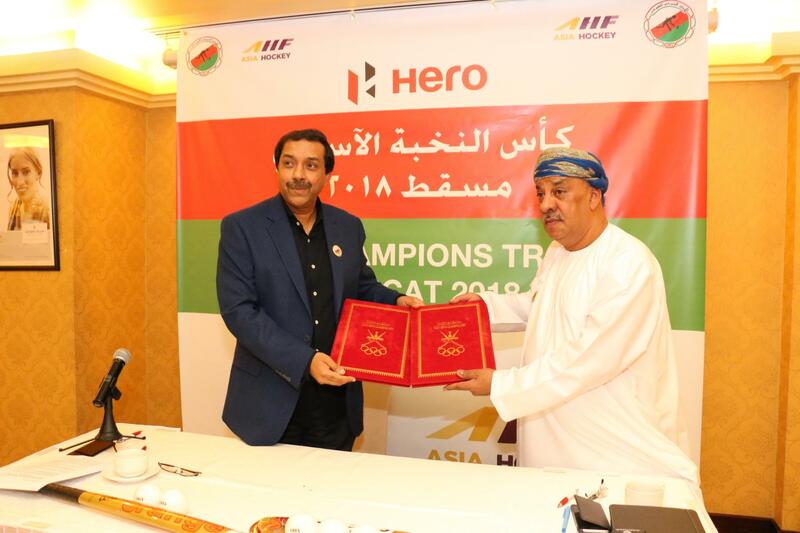 Muscat, January 29, 2018: The Hero Asian Champions Trophy 2018 will be held in Muscat between October 18-28, 2018. This was announced by the Asian Hockey Federation (AHF) today. The Oman Hockey Association will be the host of the tournament. The 5th edition of the biennial event will take place at the Sultan Qaboos Sports Complex in Muscat, Sultanate of Oman. The prestigious event is being held for the first time Oman, since the tournament’s inception in 2011. New Delhi (India)-headquartered Hero MotoCorp, a global partner of the International Hockey Federation (FIH) and a long-term associate of the Asian Hockey Federation (AHF), will be the title sponsor of the tournament. The Company supports the growth and development of Hockey through its partnership with marquee tournaments like the Hero Asia Cup 2017 and Hero Asian Champions Trophy 2018. Introduced in 2011, the inaugural Men’s Asian Champions Trophy was won by India who are also the reigning champions of the tournament, winning the final against Pakistan in Kuantan, Malaysia in 2016. The tournament will witness intense competition among some of the top performing teams from across Asia and will be the biggest Asian Hockey event prior to the World Cup which is scheduled to take place in Bhubaneswar, India from November 28 to December 16, 2018. This year, the continental tournament will feature host nation Oman, reigning champions India, Malaysia, Pakistan, South Korea, and Japan. India is the top ranked team amongst the competing teams at 6th position in the latest FIH Hero World Rankings. World number 12 Malaysia, world number 13 Pakistan, world number 14 South Korea, world number 16 Japan and world number 32 Oman round up an exciting mix of teams promising an exciting tournament ahead. 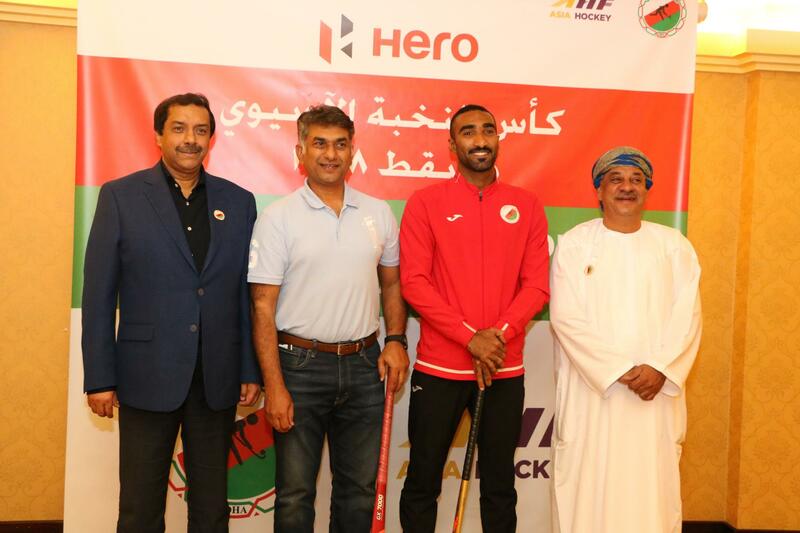 AHF CEO Tayyab Ikram added: “The AHF is pleased to further expand our cooperation with the Oman Hockey Association, who have become a key partner for the AHF. After the successful organization of last year’s AHF Congress, the OHA is shortly hosting the Men’s Asian Games Qualifier tournament and taking on the challenge of the Hero Asian Champions Trophy in October. I am convinced that both of the upcoming events will be great successes and will be organized with the same aspiration of excellence and diligence that we have seen so far.” He added further that, the inclusion and unparalleled dedication of a global player and premier brand of Hero MotoCorp’s stature, and enthusiasm of Asian Hockey’s National Associations, reflects the dedication of AHF and affiliated partners to take the sport to new heights.